Some pictures from RHS School of judges at Lake Maggiore 2006! One of the real enthusiasts of Riva boats are Koen Van Goethem from Belgium. He has been a participant of many "Judge courses" for a number of years. Speaking fluently Italian and English, he is of great value for all of us taking part of the courses in Italy. Besides beeing a good friend with a lot of knowledge about Riva boats, his is also a very good photographer! During the course we all visited 6 different yards. In addition Koen and some of us Swede's visited Meriso and RAM in Sarnico when the course was finished. Following pictures are organized by the name of the different yards. You will see pictures of boats (mostly Rivas) in storage as well as boats undergoing total restauration. 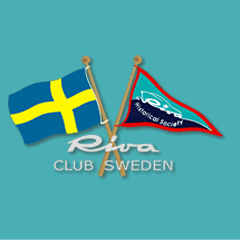 Club Riva Sweden is privileged to publish his latest photos on our website.